A high visibility partnership with Reid Park Zoo, the most visited attraction in southern Arizona, allows your organization to gain exposure while providing support to a cherished community resource. Reid Park Zoo hosts more than half a million visitors each year. With special events and innovative programming, Reid Park Zoo seeks to capture the excitement and the imagination of visitors while helping to continue its active conservation, education, and species preservation programs of local, national, and international impact. 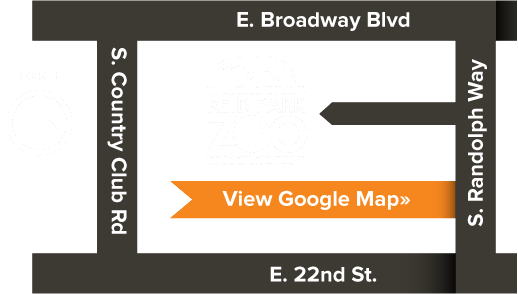 Reid Park Zoo offers sponsorship opportunities for a variety of exciting special events held throughout the year as well as opportunities for projects, programs, or exhibits. Corporate sponsorships are created to assist partners in achieving their marketing goals including increased traffic, sales, and brand awareness to specific target audiences. Packages may also be customized to best meet a company’s need for community involvement, branding and lead generation, client entertainment, marketing, public relations and employee benefits such as Zoo membership discounts, volunteer opportunities, and free Zoo or event passes. By partnering with Reid Park Zoo, you will be supporting a great cause while increasing your exposure in the Mass Market Community. For more information, please call Reid Park Zoological Society at 881-4753 or email Sponsorship Staff.